18" Tall. Tall, silent, with curving "horns" and yellow eyes, the Great Horned Owl possesses a dark beauty. 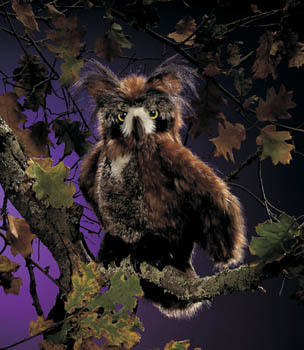 This magnificently crafted puppet features feather like plush, movable wings, rotating head, and blinking eyes.